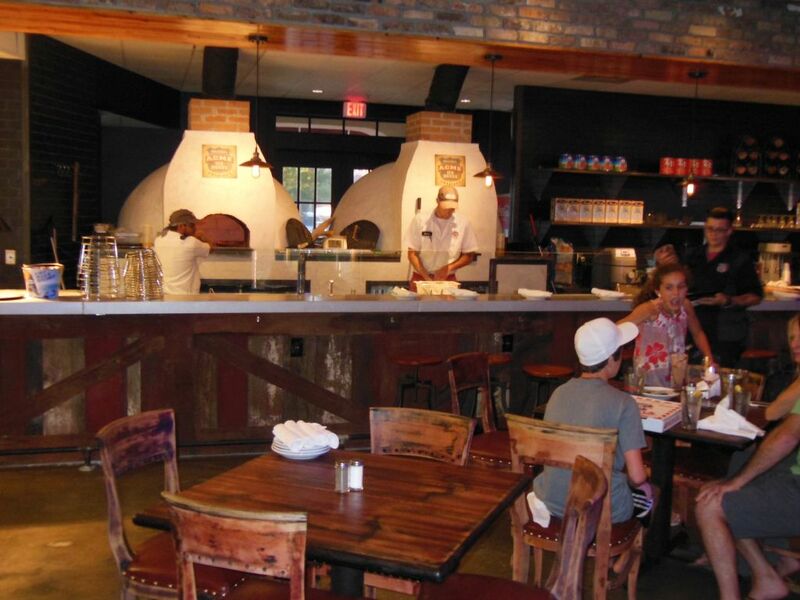 Every summer seems to bring at least one new place serving pizza to Florida’s 30-A. This year’s offering is from the Acme Ice House in Seacrest Beach. A rather elaborate establishment with a Happy Days 50s feel, Acme focuses on good old American staples like burgers, fried foods and pizza. (The Brooklyn Meatball Sub sure sounded good.) Those wanting something stronger than their milk shake need not worry since Acme is more of a sport bar than an Al’s Drive-In. There are also salads for those counting calories. 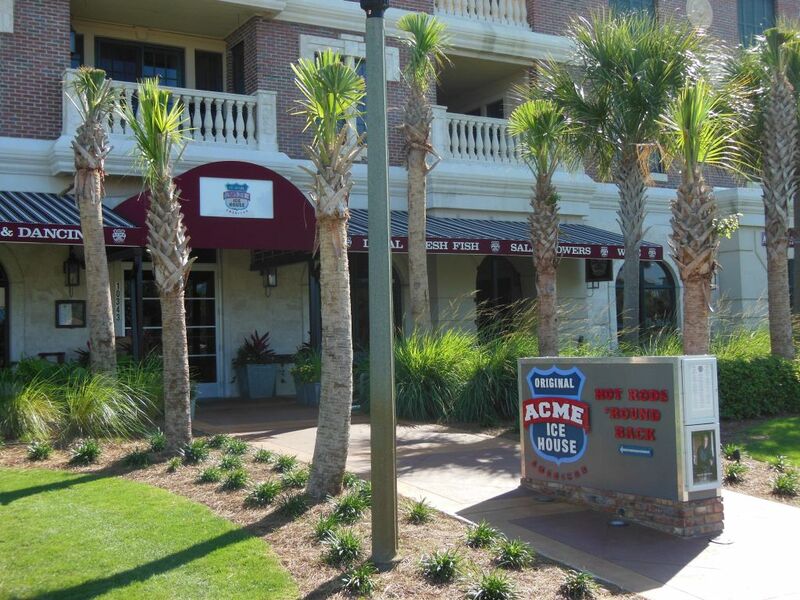 Acme took over the former Chops steak house location near the Village of South Walton complex. Their large space includes some seating on the outside and a dining room (in view of their two pizza ovens) and a bar area on the inside. 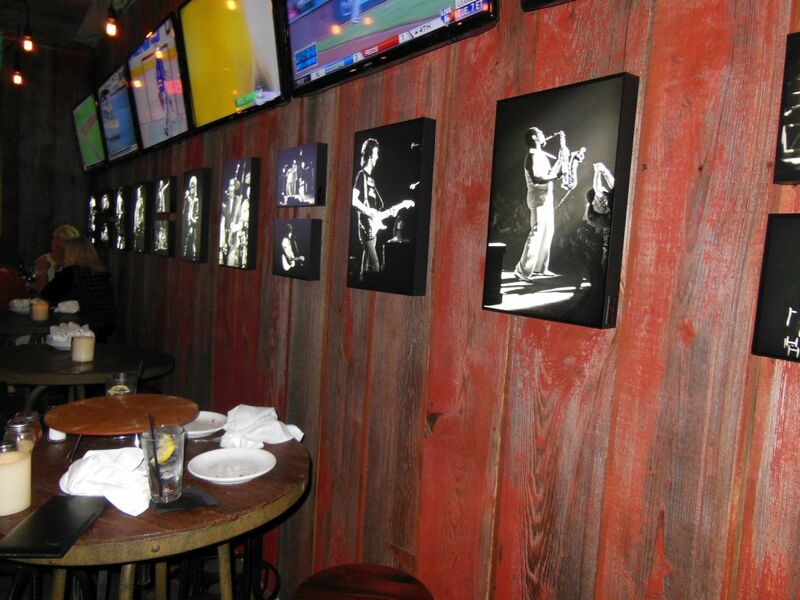 Mrs. Pie and I sat in the bar under the big screen TVs, but we were more interested in the classy collection of original black and white photos of 70s rockers like Springsteen, Costello and The Ramones. With our mission nothing more than a late afternoon snack, we ordered a Housemade Mozzarella ($14.00) from the top of their list of Wood Fired Pies. 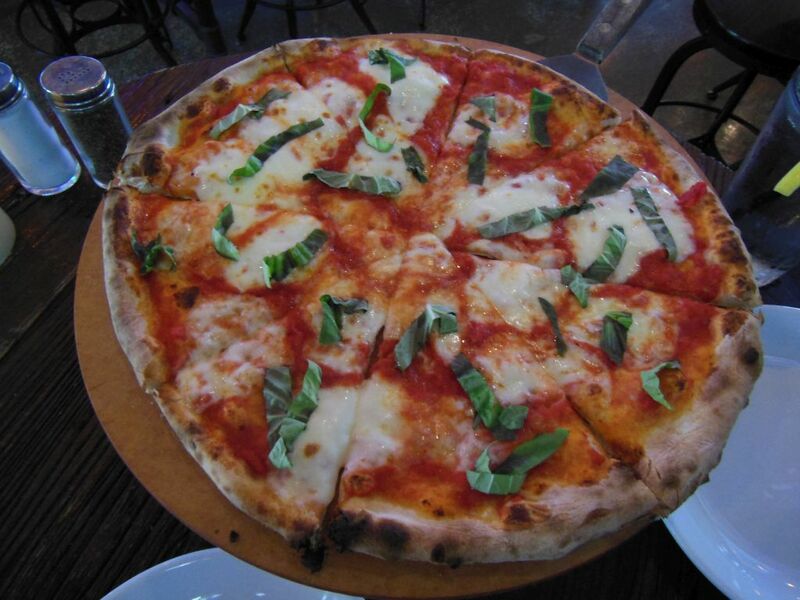 Described as having San Marzano tomato sauce and fresh basil, it sure sounded more like a Margherita rather than a good old greasy American pie. After only a short wait, my hunch about the pie was correct. It looked like something right out of Brooklyn, but nonetheless, it was hot, fresh and appetizing. It didn’t take more than a few bites to label this one as delicious. As far as Margheritas go, Acme’s pie was more on the thin side. The crust was nicely blackened and was crisp enough that you could almost eat the slices as it they were NY-style. On the top, the blotched cheese and olive oil were both quite tasty. The plentiful covering of basil leaves added some fresh flavor. The tomato sauce however tasted somewhat pale. This led Mrs. Pie to doctor things up with some basic salt and oregano. In addition to the always optional pizza peppers, her extra seasoning really seemed to do the trick. To the Pizza Snob, getting a good Margherita pie is still second best to a great classic New York slice–something that 30-A proper still lacks. However, for lack of anything better, this offering by Acme may very well be the tastiest pizza you will find there. And by all means, a fun place with simpler fare like the Acme Ice House is certainly a much better use of this prime family beach space than a fancy steak house.